Hello lovely readers, long time no see! 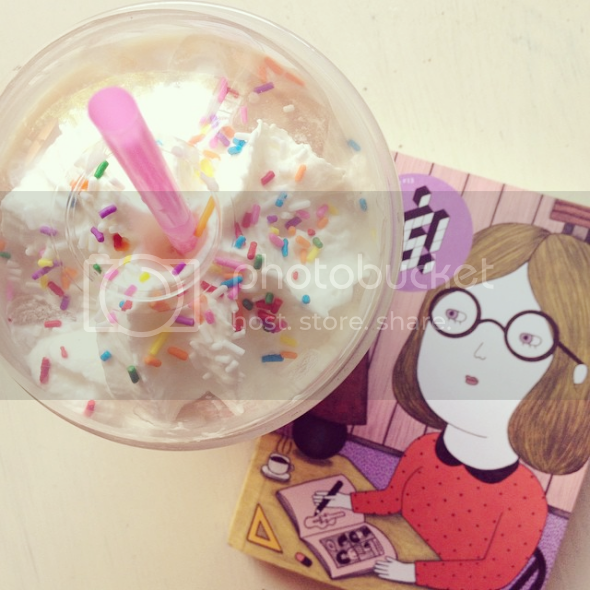 Thanks for joining me on this petite midweek (iced) coffee break, complete with sprinkles and whipped cream on top. Hopefully you've got something equally tasty to enjoy while reading this little update on the life and times of yours truly. 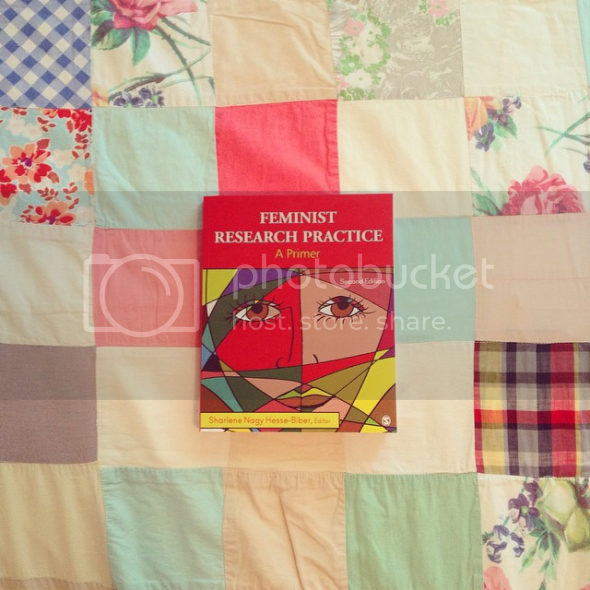 I've been busier than ever during the final year of my Women's & Gender Studies degree, hence the lack of updates. A few of my pen pals have written to me recently with questions/curiosity about feminism and while I am not an expert, this is super exciting to share with women all over the world! Like any sensible individual I love Halloween but autumnal hues aren't really my thing, so naturally I painted my miniature pumpkins white and covered them in pink and yellow pom poms. Now they sort of look like little spaceships hovering above our mantle. 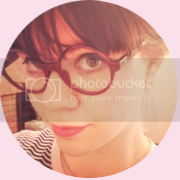 A few weeks ago I won a giveaway from Ellenface Vintage via the amazing Alex at Larkspur Shoppe! I chose this beaded silk collar which is very much too small for my neck but looks adorable hanging on the wall above my bed. I'm usually not too disappointed when such beautiful vintage doesn't fit since it can always be used for decoration. These boots from Vagabond and my egg dress from The Whitepepper are two pieces I've been wearing somewhat constantly. I have given TWP a lot of free press on my blog for good reason; their smock dresses are adorable and so comfortable that I now own three, but this one is def my fav. That's all for now! that vintage collar is really fabulous! 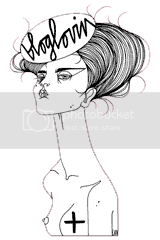 too bad you're not able to flaunt and wear it though. Good luck with your last year in school. I'm on my last year too! I love what you did with those pumpkins! And congrats on the collar! Too bad it doesn't fit, but like you said, it's still a nice piece to own and display. Love the egg dress too! What a cool print! So glad you got that lovely collar!! I totally agree with you about receiving vintage pieces that don't fit. If I really love the piece, I'm happy to have it as decoration, or even just something I hold dear to my heart. 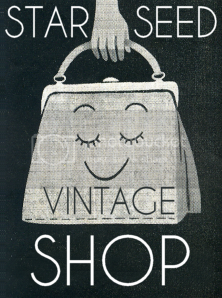 vintage clothing doesn't have to always be about the wearing, it can be about collecting as well. I associate you/your blog with Spring more than with Autumn, that's right. That collar is to die for...! Lush! 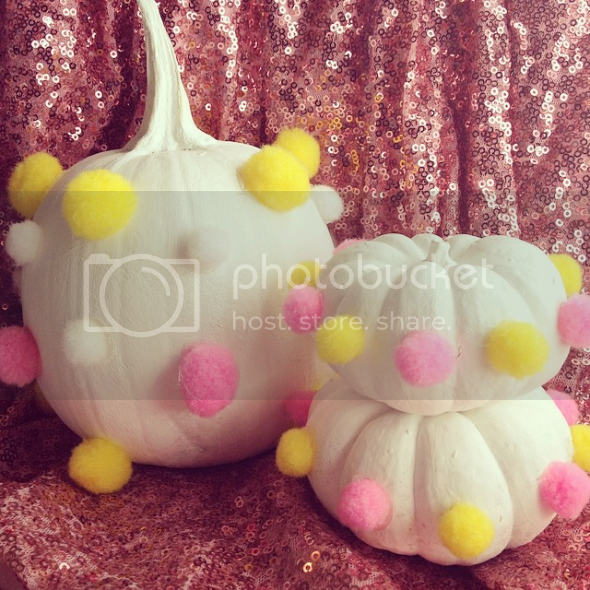 Your pom-pom pumpkins are so adorable! I love my one Whitepepper dress, it's so comfortable. I haven't checked what's new on their site recently, might go have a look now! That collar is beautiful! I'd love to see how you wear it! The egg dress! I love it. I've seen it on a few blogs. I love how you decorated your pumpkin, haha! ok i had to check out that EGG DRESS LINK. egg prints are THE BEST. that pretty collar looks lovely - good call on hanging it on the wall! i like your iced coffee drinking style - whipped cream and sprinkles = YES x 1000. ha! have a great rest of the week, sarah! And the iced coffee made me jealous, so yummy ! I love The WhitePepper, they make the most amazing clothes - that egg dress is stunning. Oh my goodness, your decorated pumpkins look super duper! Very good idea and something I may have to try out next Halloween. Your degree sounds so interesting! 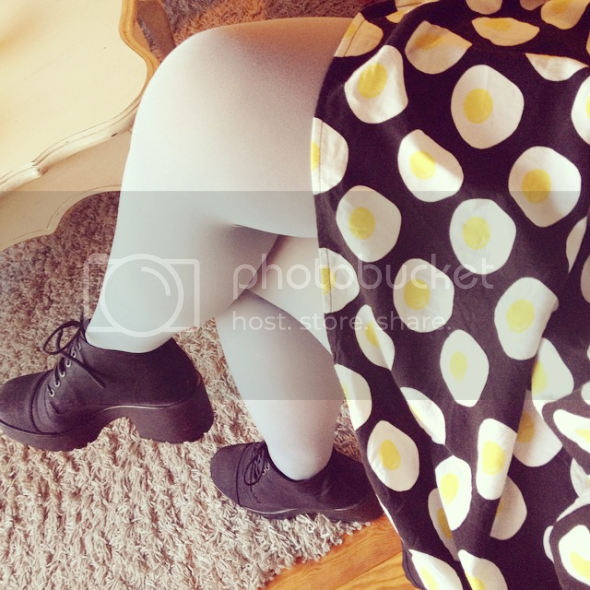 And I love that egg print dress and boots! Wow so lovely! 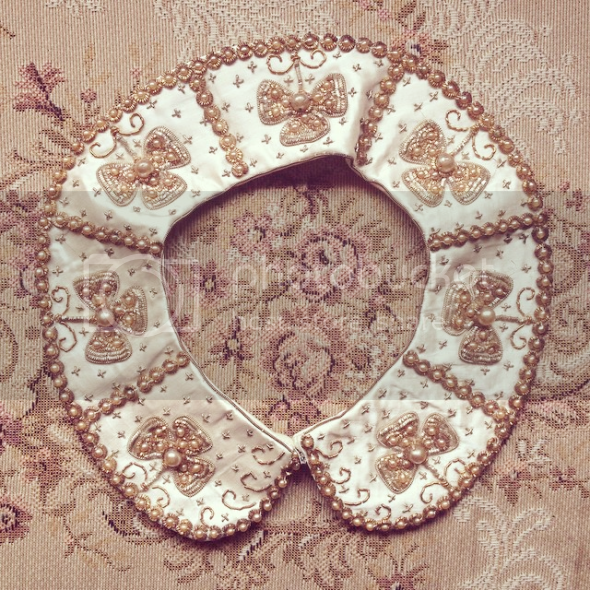 Really love the vintage beaded collar! love the colours and form!